Sodalite and Amethyst earrings, bracelet, necklace and close-up of necklace. 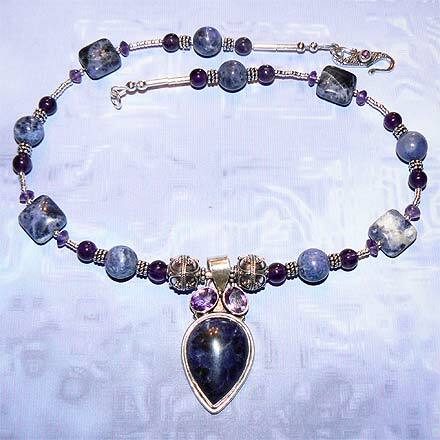 Sterling Silver Sodalite and Amethyst Necklace. 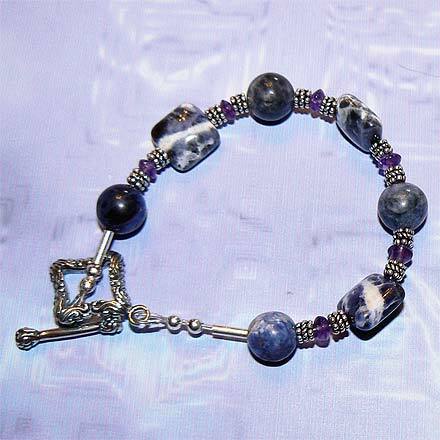 Sterling Silver Sodalite and Amethyst Bracelet. 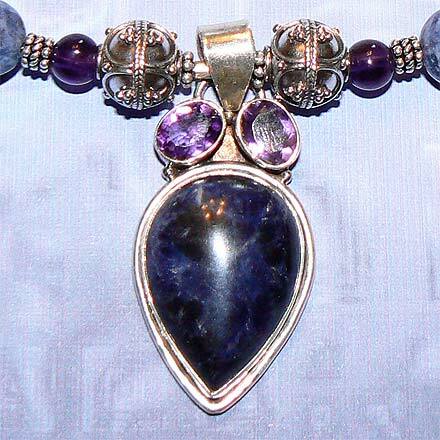 Colors on the Indigo end of the color spectrum…beautiful cobalt blue Sodalite and purple Amethyst. Necklace comes with an Amethyst clasp. For those who are interested in Astrological significances of stones, Sodalite corresponds with Sagittarius and Amethyst corresponds with Pisces and the month of February.